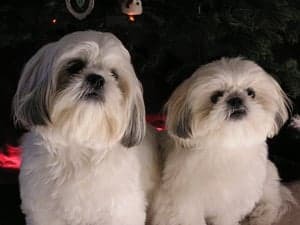 We had a brother and sister Shih Tzu we bought from a breeder (before I knew better). At three years old the female died suddenly of what the vet thought was a congenital heart condition. We were devastated and so was her brother, Bruiser. 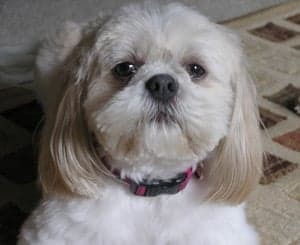 Soon after losing her, I went on Pet Finder and found a rescue in Arkansas that had a Shih Tzu mix and they said she was a "baby doll". We just had to have her. We did not want to replace Ellie, whom we had lost, but we like having two dogs and Bruiser needed a companion. We drove to southern New Hampshire to meet a transport truck to pick up "baby doll”, who is now named Gracie. She had mange and was very timid, and we LOVED her immediately. She also loved us! She had been a stray (all 10 lbs. of her) on the streets of Arkansas and now had a nice warm place to live in Vermont. She is just the best dog we could wish for and she's full of personality....most of the rescues are! This got me thinking that maybe I could be a foster mom to another dog that needed a little help. I called the Arkansas rescue group and asked about fostering with them. They told me it would work better to foster closer to home. I never knew we had dog rescues in Vermont so I went online and found Champlain Valley Canine Rescue. I filled out paperwork and met with Tammy who started the rescue. The rest is history. I love being a foster mom and my family loves to help too! We feel we are saving one dog at a time, helping find them a home that really wants them. Sometimes it's hard to let them go, but we must (at least we haven't been foster failures yet) so that we can help save the next one. I hope anyone who reads this and is interested in fostering will consider it and contact CVCR.